We’ve got solar panels in the Arboretum! And just up the street! I really would like to have these on our house. 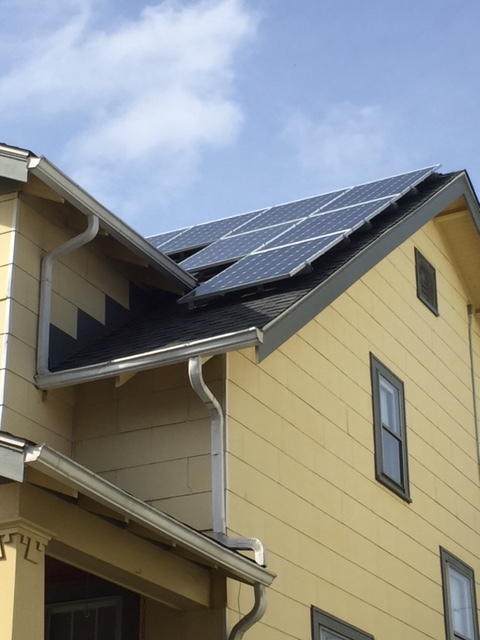 I think that all new construction should just automatically have energy efficiencies included. We also had a few new visitors to our backyard, ones that are pretty rare in urban settings. 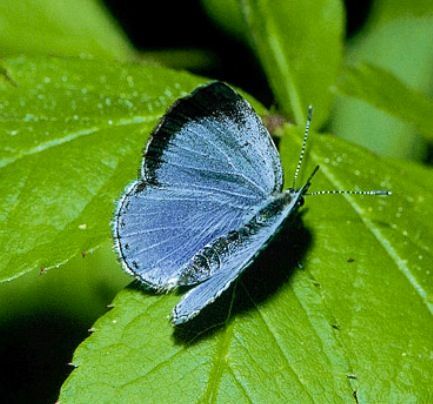 The first was a Spring Azure. Pete said he used to see these in Connecticut in the 1970s. These butterflies are typically found near wooded areas, so to see one in our yard was pretty special. First one that we’ve seen ever in Ohio. 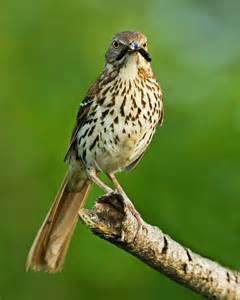 Finally, Pete saw a brown thrasher in our backyard. This was the second time he had seen one. Well, heard one would be more like it. Pete heard what he thought was a mockingbird. Then he saw the thrasher and heard its call and knew that’s what he had heard before. 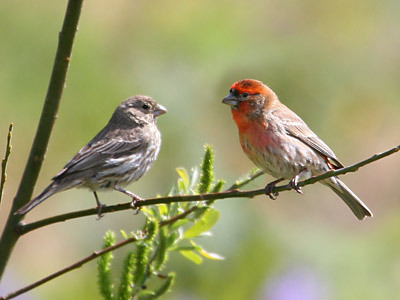 The birds are related so the calls are very similar. The fact that the bird saw our backyard as good habitat was really neat. We have lots of ground cover (leaves) and low bushes, which is what they like. One thing that worried us were neighborhood cats; the thrasher’s feeding and nesting habits make it vulnerable to predators. Click here to volunteer. Once you open the page, you’ll volunteer by clicking on the date in the box. This last week has been all about the bugs. Or, as my entomologist husband would say, it’s been all about the insects. As he has told me many times in the past, true bugs have sucking mouth parts. That being said, saying that something’s been insecting me doesn’t quite sound the same. First off, at work our office has moved into a new building. And since it was being remodeled beforehand, the windows were always open. Which allowed plenty of insects egress into the building, where they happily set up shop. We have fruit flies, flies, gnats, ants, and a few cockroaches (which I admit, I also saw in Bricker Hall.) They are thinking about doing something to get rid of the little pests – I had one fruit fly that just flew around my head all day. Not a piece of fruit to be seen. I named him Fred. Then on Friday night, we put some plants in my front garden because it was supposed to rain on Saturday, and I thought that would be the perfect time to get them all into the ground. Pete and I were nearly eaten alive by Asian tigers. We sprayed with Off! but the little blood suckers just laughed at it, finding the one centimeter of skin that hadn’t been coated. Of course, with dirty hands, swatting at them wasn’t the best thing to do. I finally gave up and swatted away; I looked like I had rolled in the dirt when I got inside. As I was relaxing upstairs Saturday afternoon, Seamus, our cat, came up to lay on my lap, something he usually doesn’t do. I noticed he had all of this white stuff on his head, and in looking at it to try and figure out what it was, I noticed the white stuff was moving. I screamed at Pete, “Seamus has something alive crawling all over him! !” Pete took a sample under his microscope and declared Seamus had mites. As did Ciara. Walking dandruff is what it’s called. Of course, no vet was open, and all the on-line treatments were prescription only. Then, in combing a sample of the fur from the other cats, I found a flea. Of course, that meant that everyone had fleas. We were told at PetPeople in Clintonville to try diamaceous earth. It’s a very fine silica powder that somehow cuts the exoskeleton of fleas, drying them out and eventually killing them. It’s very safe to use. We sprinkled some on each cat and around the places they liked to lay, after washing everything we could. It seems to have worked on the mites – Pete saw some under the microscope, but they were all dead. Today, I noticed that our burr oak’s leaves were looking a bit yellow and the red oak’s leaves were turning brown. Turning over the leaves, I noticed lots (and I mean lots) of eggs and insects. 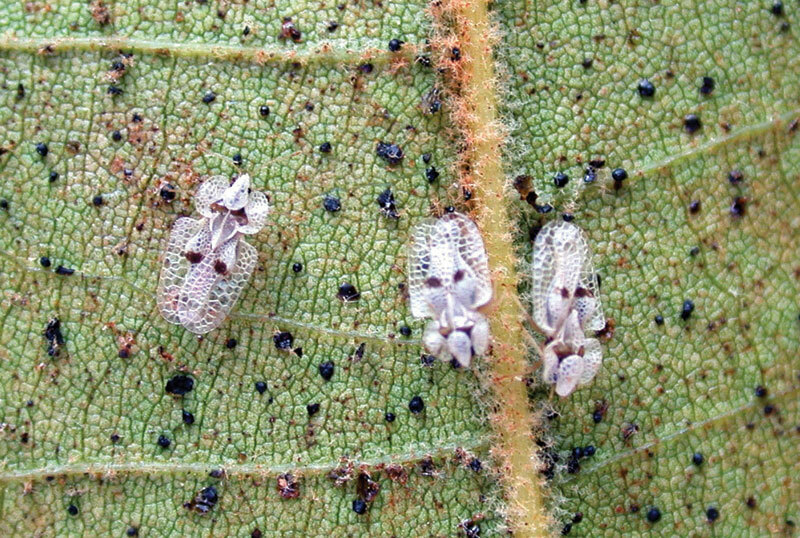 Pete says they are lace bugs (you, know, the ones with the sucking mouth parts). Well, they certainly were sucking out the sap from those leaves. The red oak had more eggs that Pete couldn’t identify. Dang bugs – or insects! Or whatever. Finally, has any noticed the lack of butterflies around, especially monarchs? Pete and I haven’t seen anyth ing but a few black swallowtails, one tiger swallowtail, and one mourning cloak. 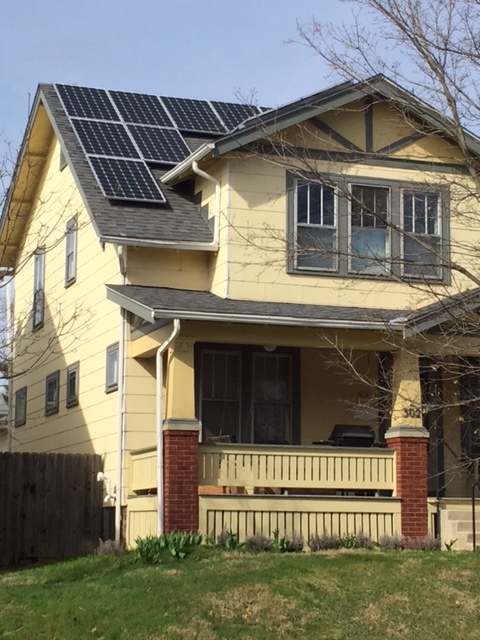 We haven’t seen one monarch anywhere in Central Ohio. I’ve heard that the conditions for monarchs this year weren’t very good – storms and drought – as well as loss of habitat in Mexico. 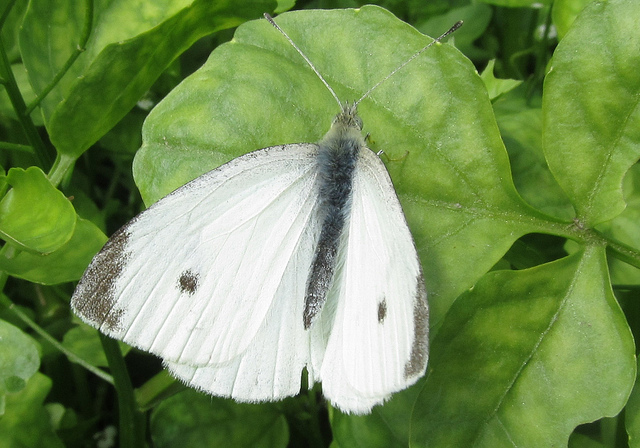 The only thing I’ve seen butterfly-wise are the cabbage whites, introduced from Europe. We’ve got our new LOUA membership forms up – if you’d like to become a member, click here! For about ten years, Pete has been getting National Geographic Magazine. I look forward to it each month, mostly for the pictures, which are always so remarkable. But one story in this month’s issue caught my eye. It was about how songbirds are being destroyed in the Mediterranean. Here’s a link to the story, but be warned, the short video with the story was, at least, for me, very difficult to watch. In a nutshell, song birds are being killed by the thousands. Some are being killed for food, but most are just hunted for sport or poached. Many are shot, others are caught with traps that look like mouse traps, while some get stuck on sticks covered with sap. The birds are varied: golden orioles, Ortolan bunting, chiffchaff, garhaneys, Europena robins, turtledoves, blackcaps, wheatears, warblers and raptors. Even those that kill these birds are noticing that their numbers are declining to the point where they comment, “There are no birds around.” I can’t imagine a world that doesn’t include the sound of birds singing. It’s coming on that time of year (no, not when college hoops rules – although I am listening to the Bucks play the Arizona Wildcats tonight) when the birds migrate through Ohio. 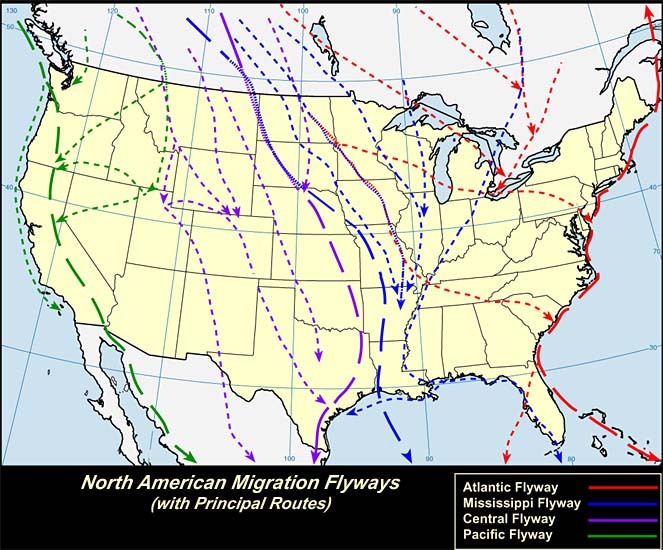 These birds are heading up from the south into Canada and the boreal forest or arctic regions, with some having flown from as far away as Central and South America. They have one more push to reach their final destinations, but Lake Erie is out there, one last – and rather large – obstacle to cross. If you look at a map of Lake Erie, the western end of the lake isn’t as wide, providing an easier place to cross. So before these birds head out, they gather strength in the marshes and preserves in Northwest Ohio. By March, some of the birds are making their way north, although more will be traveling in May. In fact, in searching around the Internet, I found a site, Biggest Week in American Birding, which takes place this year in Northwest Ohio the week of May 3rd. It is, apparently, a big deal (and a lot of tourist dollars) to see all of these birds come in. 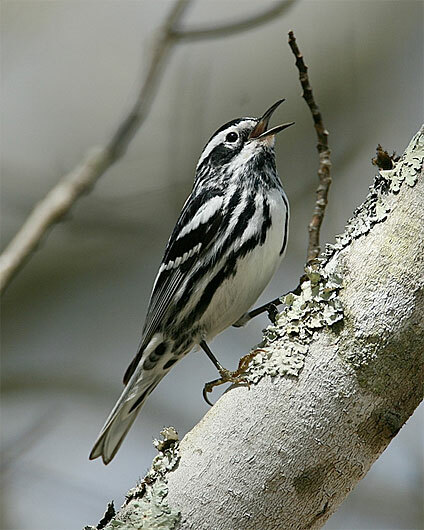 Some of the more spectacular birds that fly through are: Kirtland’s Warbler, American Redstart, Mourning Warbler, and Black-and-white Warbler. 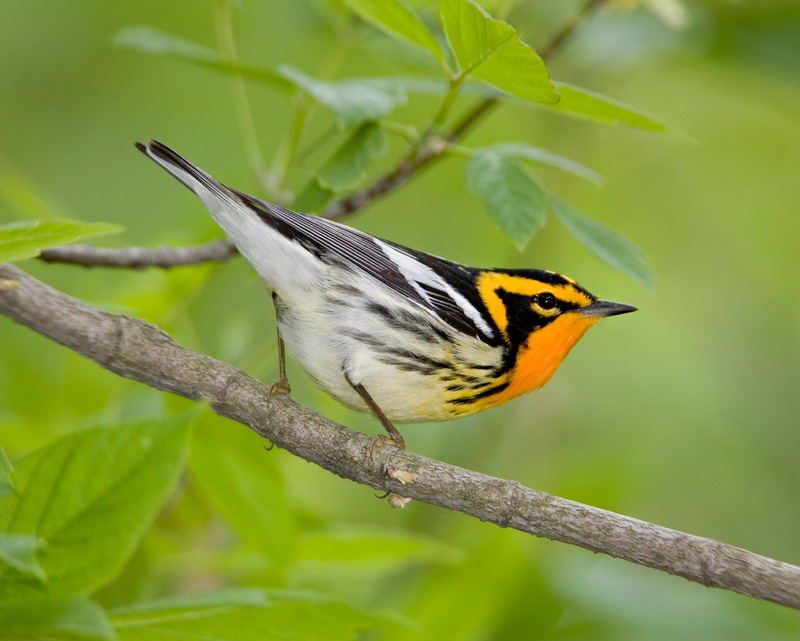 The little beauty above is the Blackburnian Warbler. I can imagine why people would travel from around the world to have the chance to look at such a bird…If any of you have gone to Lake Erie to bird watch, let me know how it was. When I was a kid, the biggest thrill for me (at least as far as birds were concerned!) was to see the first robin of the season. That told me that winter was over and spring was around the corner. Unfortunately, since then, I’ve learned that robins stay in Ohio all winter long; it was a bit like finding out that the Easter Bunny wasn’t real when I saw my first robin in December, happily munching on a hawthorn berry. Speaking of birds, Pete and I were walking to the market when I heard a bird song that I didn’t recognize. I tracked down the bird on the top of a tree. Pete said it was a male chickadee with his mating call. He was so funny to watch with his head bobbing around. Pete said he was looking out any females in the neighborhood. So spring – and love – is in the air. Basketball ain’t the only game in town! Do any of you remember the cartoon character Woody the Woodpecker? When I was a kid, I used to watch the Woody Woodpecker Show. I loved him so much that I got a Woody Woodpecker puppet. I remember that his head was really heavy and would flop around if I didn’t hold my hand just right. Remember, this was way back in a time when technology was still large and clunky. He had a pull string that made him give his famous call (laugh?). I would pull that string like crazy, making my brother beg me to stop. I wouldn’t even wait until Woody was done with his laugh before I pulled the string again. I was a very annoying child at times. Thus began my fascination with woodpeckers even though I am more likely to hear one than see one. It’s so difficult to spot them in the woods when all you hear is them beating their beaks against a tree. I’ve often wondered how they didn’t end up with the headache to end all headaches from all that pounding. Turns out a sponge-like area separates the skull from the beak and that helps protect the woodpecker, as well as a beak that doesn’t line up top to bottom, which helps distribute the force of each blow. Fascinating! When I visit my brother, Michael, in Michigan, we will often see red-bellied and downy woodpeckers in his backyard. Along with the blue jays and the Cooper’s hawk named Christmas, woodpeckers are the favorite bird of MaryJo,his wife. Here in our backyard, we’ve seen the same birds (well, not the exact same birds, but you know what I mean!) coming into our yard. I just enjoy the way they hop up and down the trees. 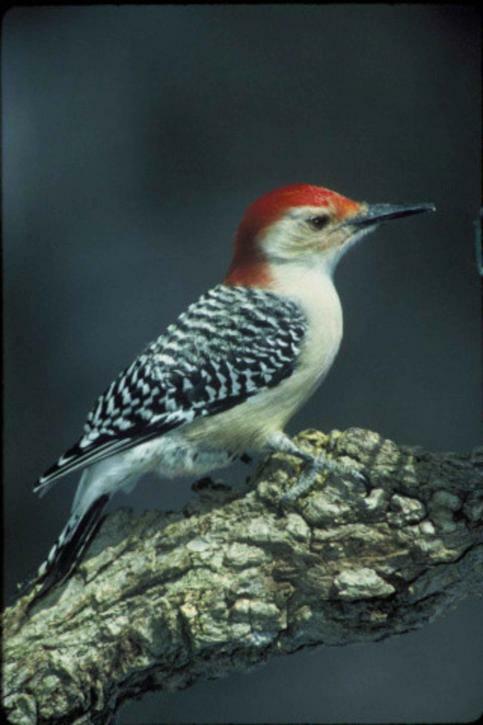 My favorite is the red-bellied woodpecker, Melanerpes carolinas, because I love the checkerboard markings and red head. (And why it’s called a red-bellied when its belly isn’t red, I’ll never know…) We use suet to attract these birds, but I think that the feeder we haven’t isn’t the best for them because they have to hang upside-down to feed. I’ve read that woodpeckers like to be able to use their tail to support themselves while feeding, and our feeder doesn’t do that. If anyone can recommend a good feeder or feeding method, please let me know. Everyone knows that there are many different accents when it comes to the spoken word. When I was in London, England, I managed to get turned around in Leicester Square. I went up to a storekeeper to ask for directions to the Tate Museum where my bus would be waiting to take me back to Oxford. What came out of this very helpful gent’s mouth for directions wasn’t anything that I could figure out. I knew he was speaking the Queen’s English, but it appeared that he was speaking something that the first Queen Elizabeth might have understood. Thankfully for me, he pointed and off I went. Strangely enough, the same thing can be said about birds. Hard to believe – I envision something like a bird from Boston saying “Paaark the caaar” while one from Ohio would simply say, “Park the car.” One of the reasons for these regional dialects is because of urban settings. It appears that birds with higher-pitched notes have less echoes from the tall buildings in a city. So those notes are stronger and would give a bird an edge, at least if that bird was in the city. And since the baby birds learn from their parents how to “speak,” these dialects continue. Country birds have less need for their song to carry as far because of the open spaces. Another reason for the different songs might be the age of the birds. Younger birds are still finding their voice, settling on the song that they will soon sing each time they vocalize. And even within the bird world, birds have different levels of song: some might only have a few songs while others, like the mockingbird, have over 100.